We talk a lot about issues with the quality of your dog’s food. But even high quality food can cause problems if it’s not properly balanced for your dog’s needs. Dr. Joyce Gerardi with Kindred-Canines in Motion gives us 10 health problems that can arise if your dog is not eating a proper diet. These can be caused by several things: storage mites (little insects) that accumulate in stored kibble; an allergy to one or more of the ingredients (usually the protein or meats); or concern is growing that dogs are having reactions to the many additives and fillers added to kibble and/or cans. More attention is being given to foods that have a high glycemic index such as those high in processed carbohydrates. Wholesome grains can be ok as part of a balanced diet, but high amounts of processed carbohydrates such as those found in kibble can cause problems in pets just like they do in us. Homemade diets or fresh prepared food that are not properly balanced by a veterinarian or someone with expertise in veterinary nutrition can lead to deficiencies and excesses over time. The result can be a range of illnesses, from heart disease to blindness. Feeding foods that are too low in protein or essential fatty acids (ie: a vegetarian or vegan diet), may lead to severe protein deficiencies, malnutrition, and even death. Feeding foods that are excessive in calories from fat can lead to obesity or a painful condition called pancreatitis in predisposed animals. Food high in protein, or containing the wrong kind of proteins (as seen with many raw diets) can lead to urinary crystals or stones in predisposed dogs. Raw diets, commercial kibble and canned diets have all been recalled several times due to bacterial contamination. E. coli, Salmonella, Campylobacter, Clostridium are all bacteria that can lead to bloody diarrhea, and in severe cases, hospitalization or death. The transfer of Salmonella and E. coli to humans (from the dog) is also a concern. We researched dogs on kibble diets vs. dogs on whole food diets. 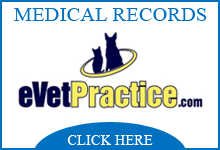 The data showed that the dogs on kibble had blood profiles consistent with immunosuppression. One theory for this is the unavoidable contamination of kibble with immunosuppressive mycotoxins during the manufacturing process. These can be caused by deficiencies in important nutrients such as calcium. Too little calcium could lead to nutritional diseases such as nutritional hyperparathyroidism and developmental bone disease. Having too much of these during a puppies growing period can lead to developmental bone diseases such as elbow and hip dysplasia, and/or other bone deformities. 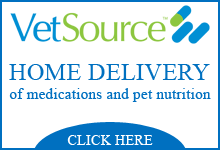 This is a complete and Whole Pet Food guide that gives your pets and Service/Assistance Dogs everything they need to achieve good quality health. Please make sure to visit the www.kindred-caninesinmotion.org testimonial site & the Facebook page to share your comments, success stories and help spread the word. Thank You for letting us Serve You and Your Animals! PreviousPrevious post:Are You Ready to Share Your Thanksgiving Meal?NextNext post:Dr. Joyce Loves Technology!